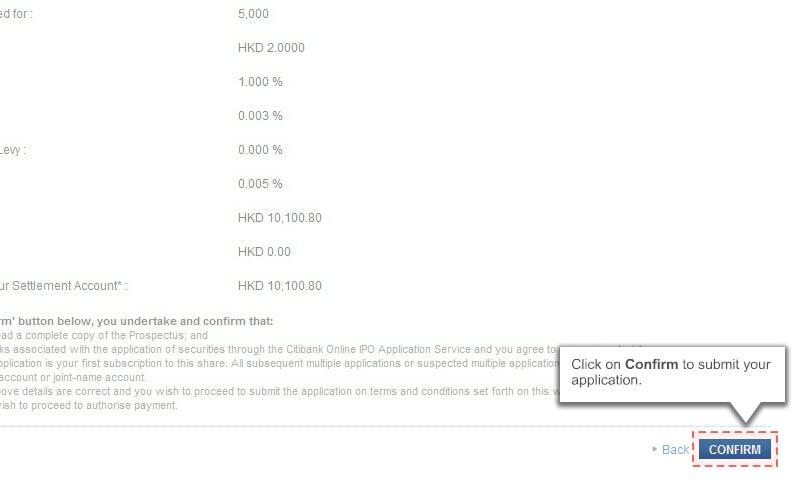 Citibank provides investors online IPO subscription services with handling fee waiver. 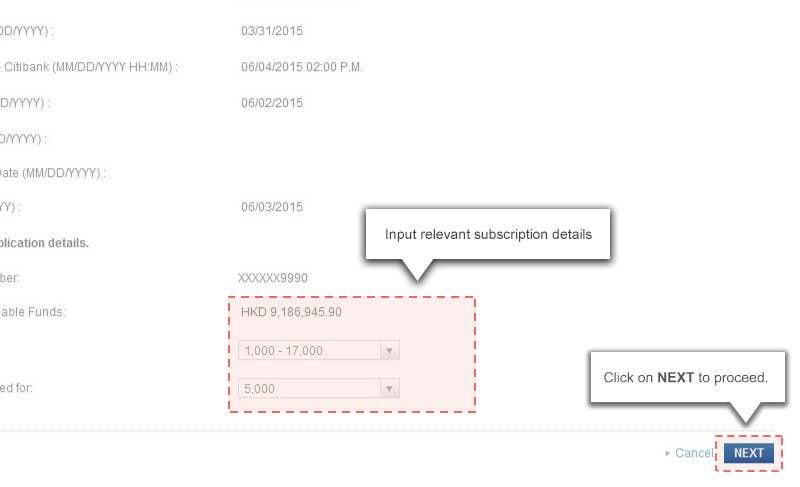 You can now subscribe new shares easily to grasp every investment opportunity. An initial public offering (IPO) is a company‘s first issue of new shares to raise funds from capital market through financial intermediary for company’s future development. 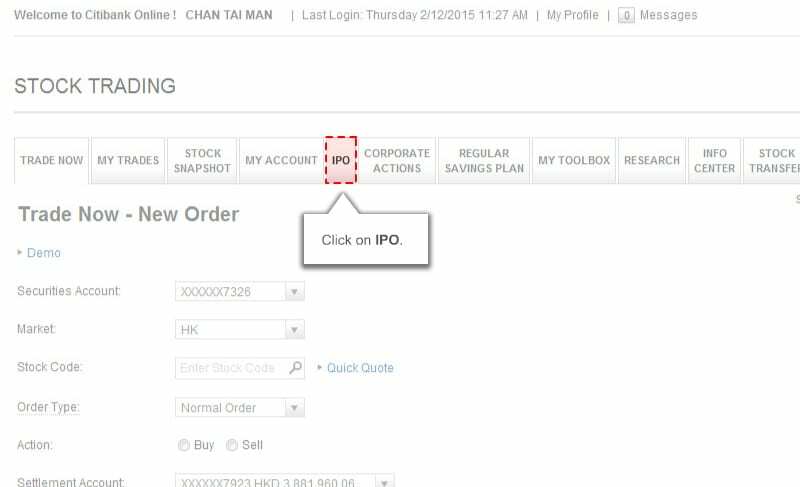 Citibank provides IPO subscription services for IPO listed on the Main Board only. 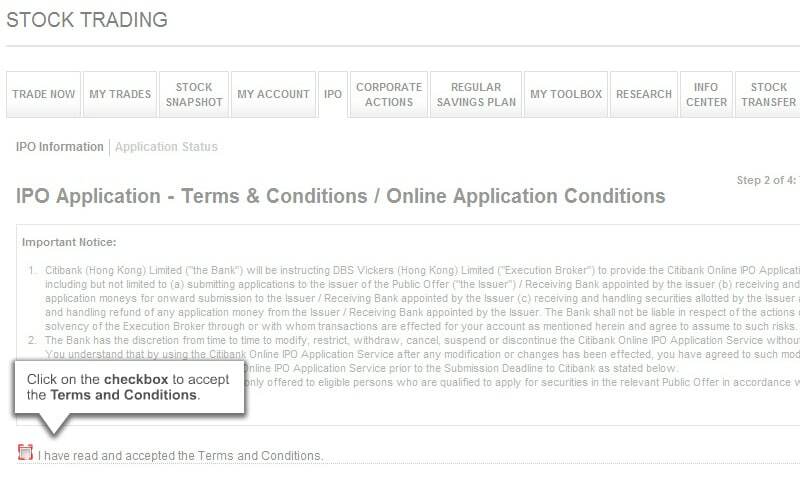 Citibank provides IPO services through Online Banking (Yellow form). 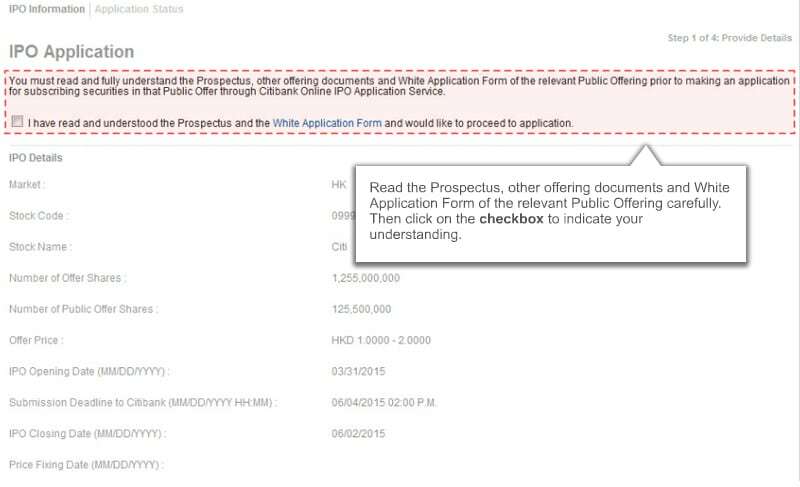 White form In general, you may not be able to sell the shares until the shares are deposited into CCASS. 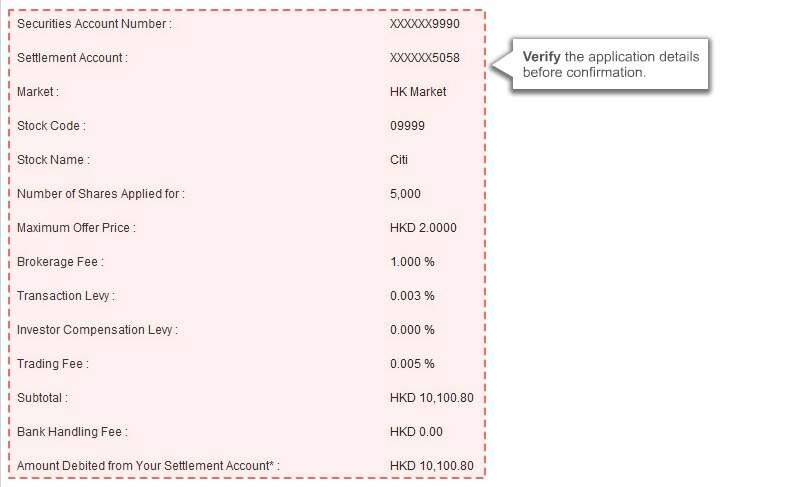 Yellow form If you have opened a securities account with your intermediary (brokerage or bank), the successfully allotted new shares will be deposited into your securities account of your intermediary with CCASS and registered under HKSCC Nominees Limited. So you will not receive the physical share certificates. The above information is sourced from “The Chin Family” and is intended as a general guide to highlight some basic facts and characteristics of certain types of securities. 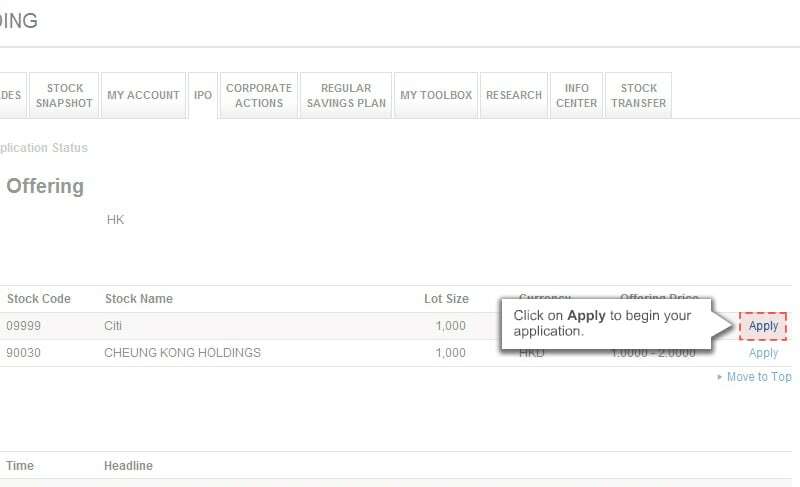 For details risk associate with IPO, please refer to HKEx (http://www.hkex.com.hk/). IPO Services subject to service fees and charges. For details, please refer to the Service Fees and Charges leaflet. 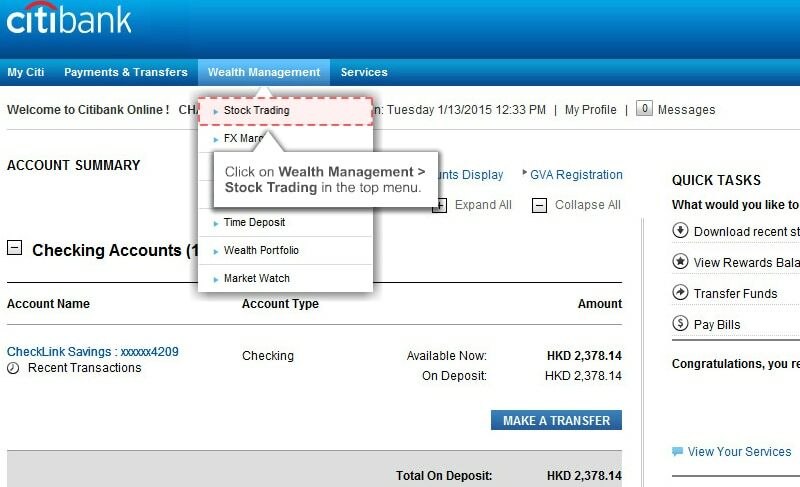 Step1: After log onto www.citibank.com.hk online banking and select "Wealth Management" → "Stock Trading" → "IPO" → "Apply"
Select "Wealth Management" → Stock Trading"
You can also click here to view the demo video about the detailed online application process. You should seek advice from your professional advisors as to your particular tax position, including but not limited to estate duty and withholding tax that might arise from investing in overseas products. This website material is for information purposes only and is not intended to constitute any offer or solicitation or advice to buy or sell any security. 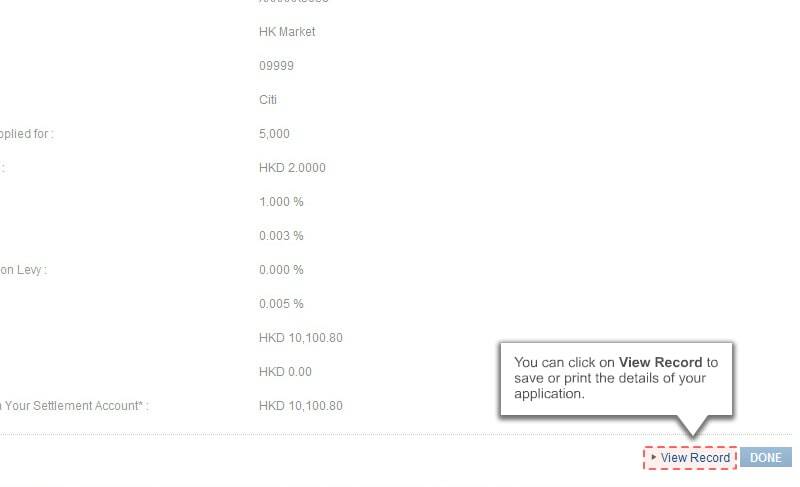 Investments are not bank deposits and are not obligations of, guaranteed or insured by Citibank (Hong Kong) Limited, Citibank, N.A., Citigroup Inc. or any of its affiliates or subsidiaries, or by any local government or insurance agency, and involve risks, including the possible loss of the principal amount invested. Share prices may go down as well as up. Investment products are not available for U.S. persons and might only be applicable to limited jurisdiction. Any person considering an investment should seek independent advice on the suitability or otherwise of the particular investment.